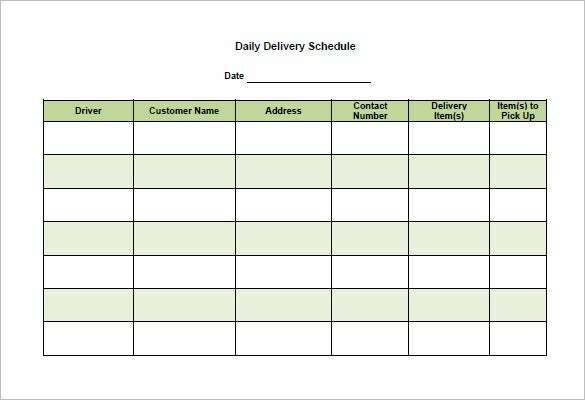 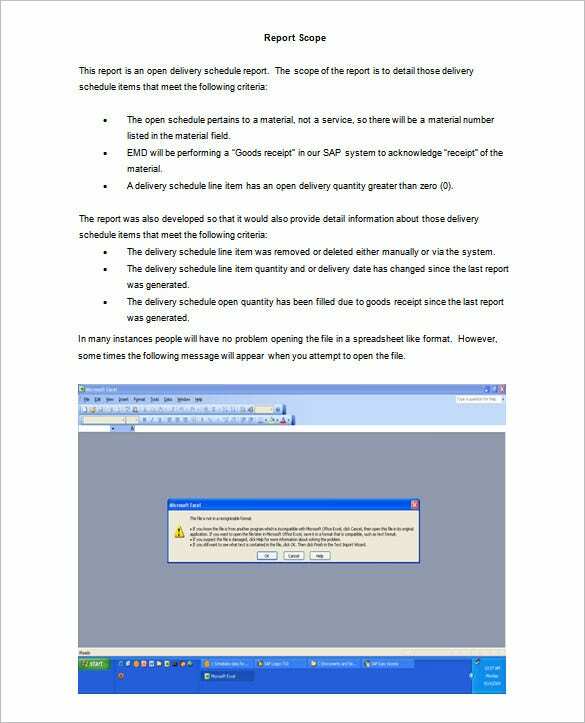 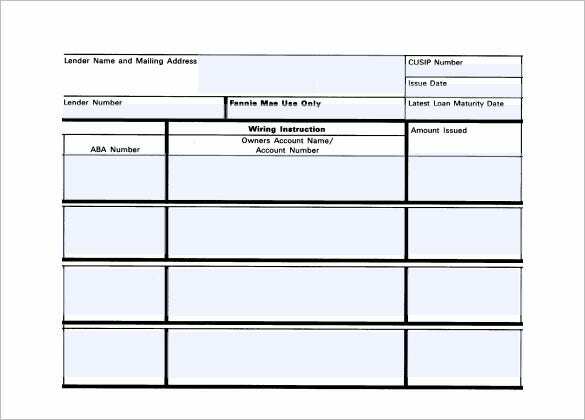 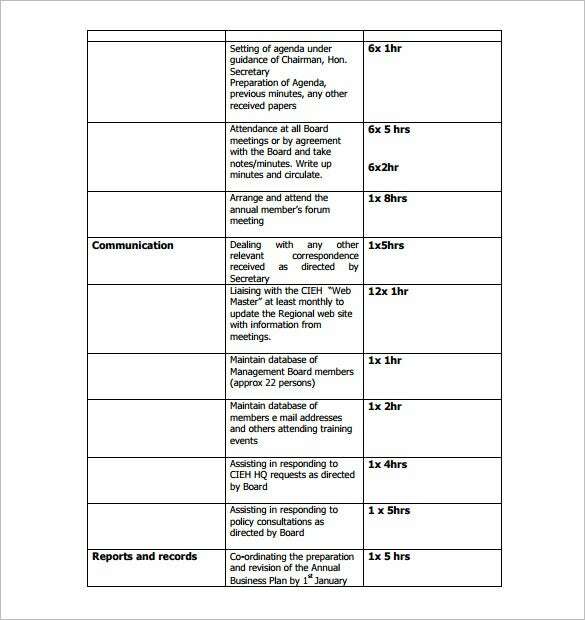 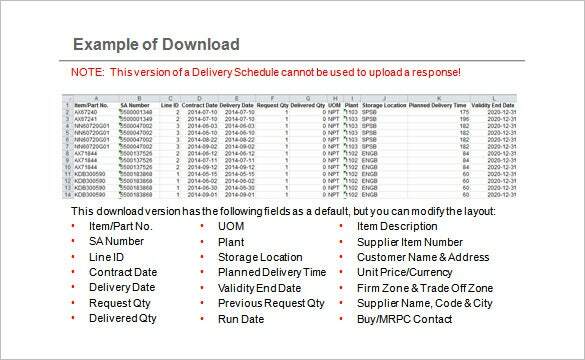 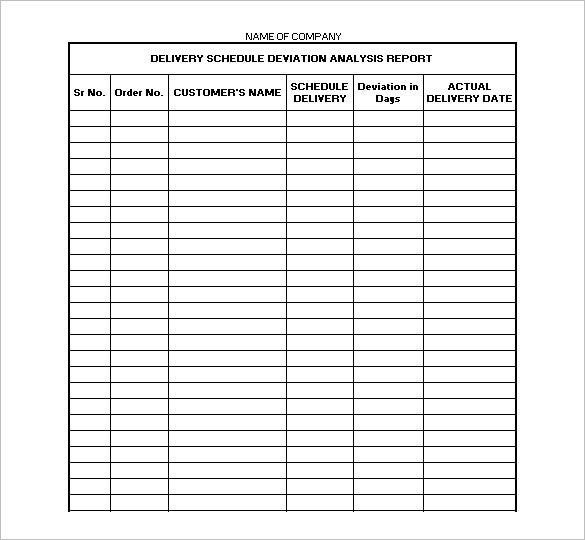 Delivery Schedule Templates act as important documents required in maintaining and organising the delivery reports and mapping delivery schedules in all production departments, industrial sites, etc. 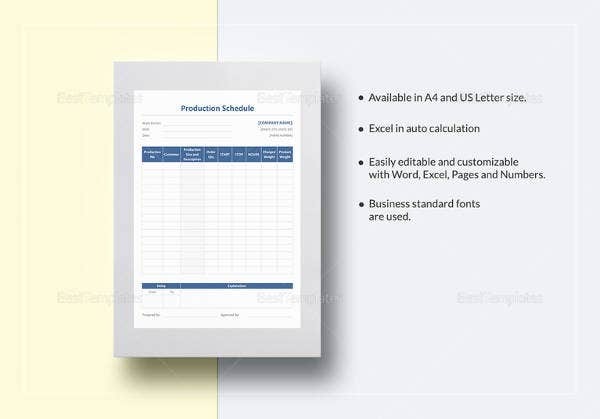 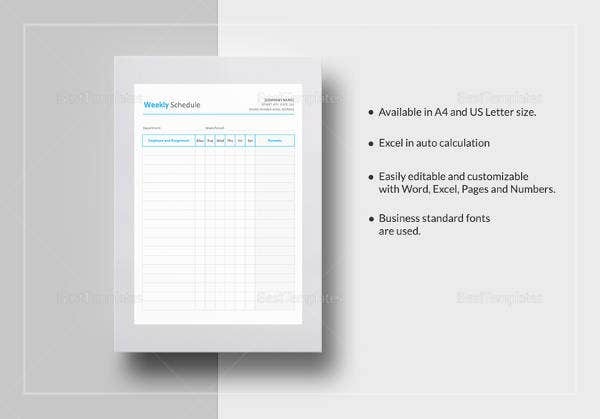 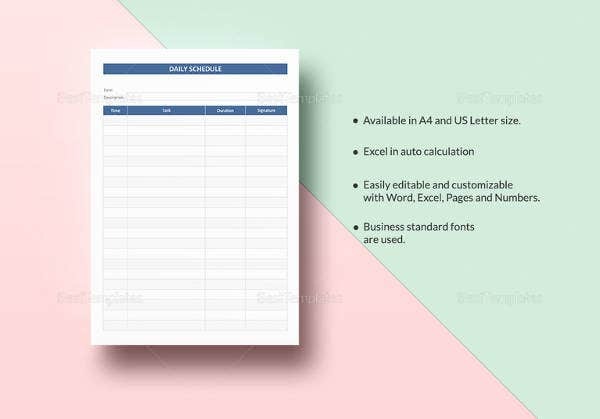 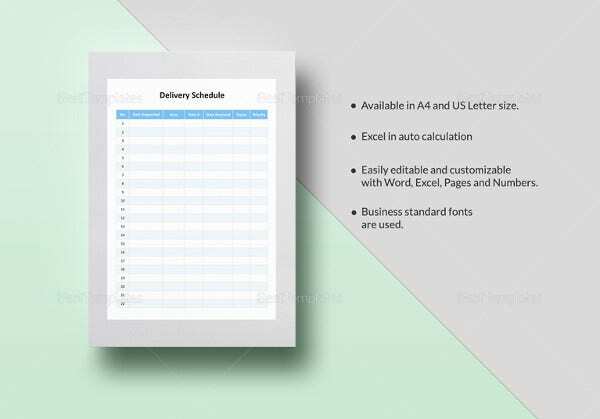 The Excel format of the templates ensures a smooth and precise regulation of records of deliveries. 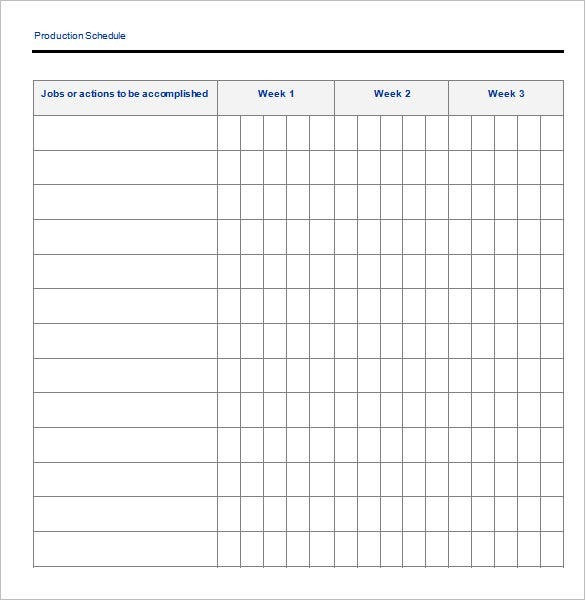 You can also see Volunteer Schedule Templates. 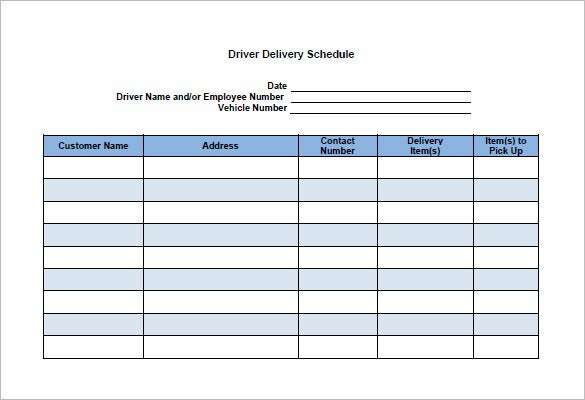 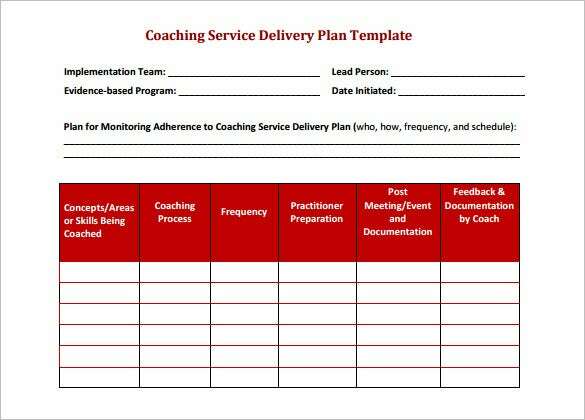 Be it an individual, a team or an organisation, these schedule templates can be conveniently used to plan up the process of delivering items to clients in a easy, hassle-free way. 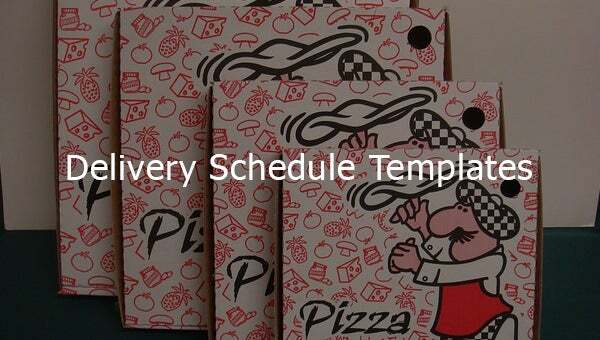 Using program schedule templates along with these, one can easily look into aspects like time, delivery date, schedule plan for met targets and simple relax. 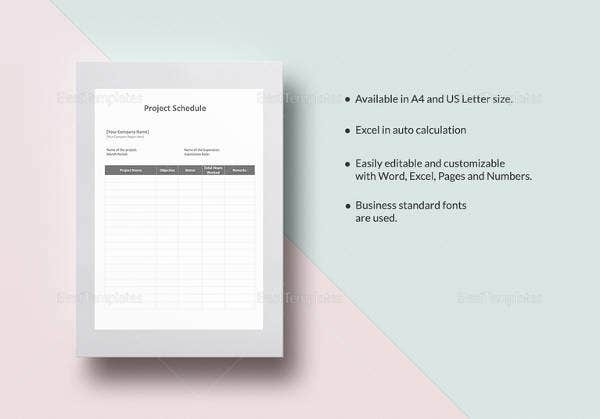 Download the samples of these templates from various examples and get going.